As I mentioned in my last post, I went apple picking with some friends a week ago and have been going a bit apple crazy in the kitchen ever since! 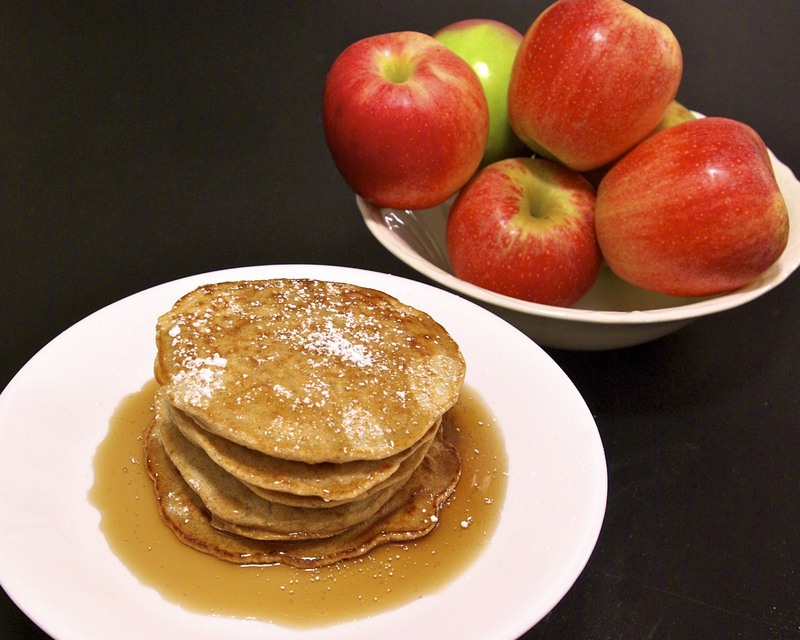 For those of you regular Paula’s Plate readers, you are likely familiar with my affinity for all things pancakes, and with this plethora of apples, I couldn’t resist making some apple pie pancakes for breakfast the other day. 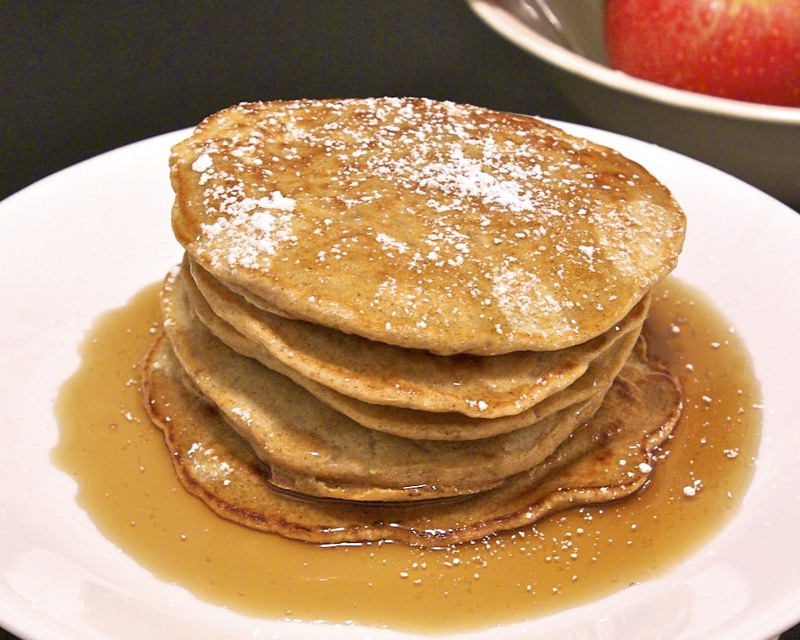 With shredded apple, warm cinnamon and a hint of maple running throughout the batter, this recipe yields an incredibly comforting pancake that is perfect for the coming fall days. Whip up a batch for brunch this weekend and say hello to September. Enjoy! In a medium bowl, whisk together flour, baking powder, cinnamon and sugar. Set aside. In a separate large bowl, whisk together melted butter, egg, milk, maple extract and apple. Stir flour mixture into apple mixture until just combined. Spray skillet with cooking spray and pour batter, by 1/4 cup, into skillet. Cook until top becomes very bubbly and underside is golden brown. Serve with maple syrup or a dollop of whipped cream and enjoy! Ah! Good question. I forgot to add that 🙂 It makes about 8-9 "1/4 measuring cup" pancakes. I often cut it in half for myself. I hope you enjoy!